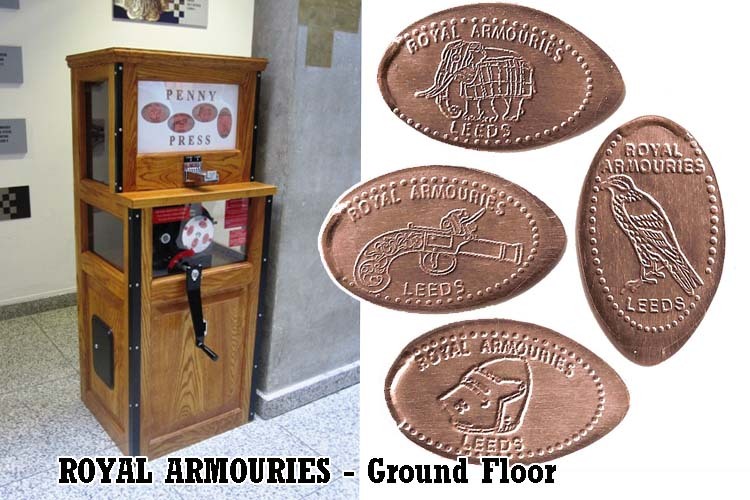 The Royal Armouries Museum Is In Leeds There Is Over 8500 Objects On Display In 5 Galleries: War, Tournament, Oriental, Self Defence & Hunting. 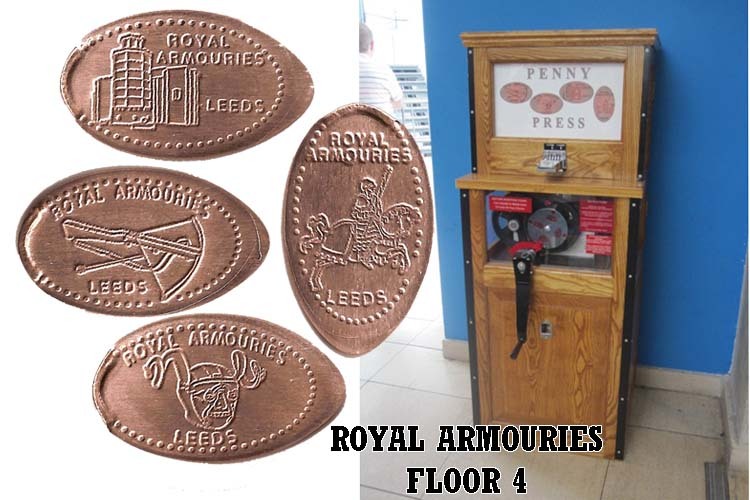 The Leeds Royal Armouries Museum Have 2 Machines With 4 Different Pennies But 8 Different Designs. 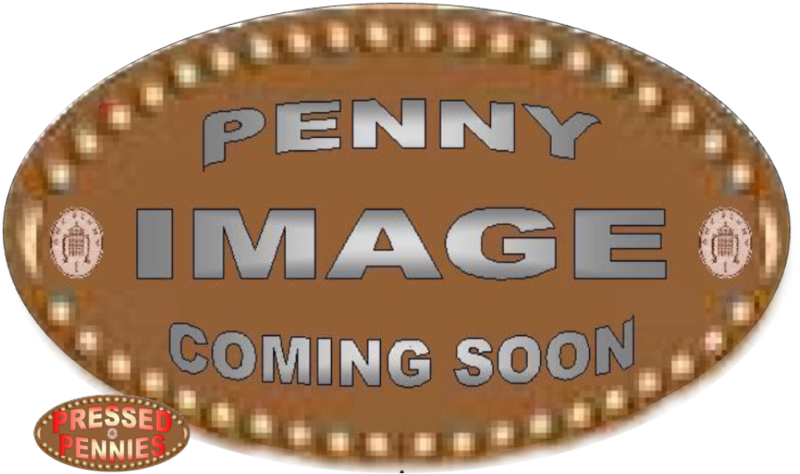 The Penny Press Machine Is Located In The Main Entrance Of The Museum. 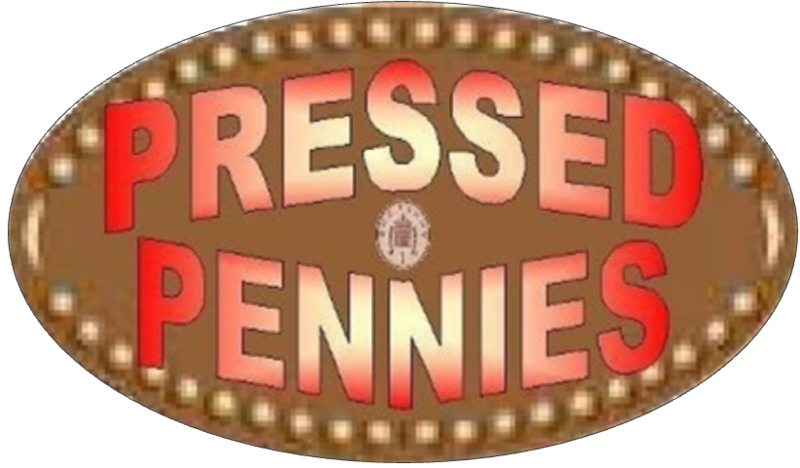 The Penny Press Machine Is Located On The 4th Floor Opposite The Cafe Next To The Lift.